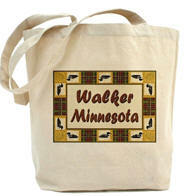 Walker is a city in Cass County, Minnesota located on the southwest corner of Leech Lake. 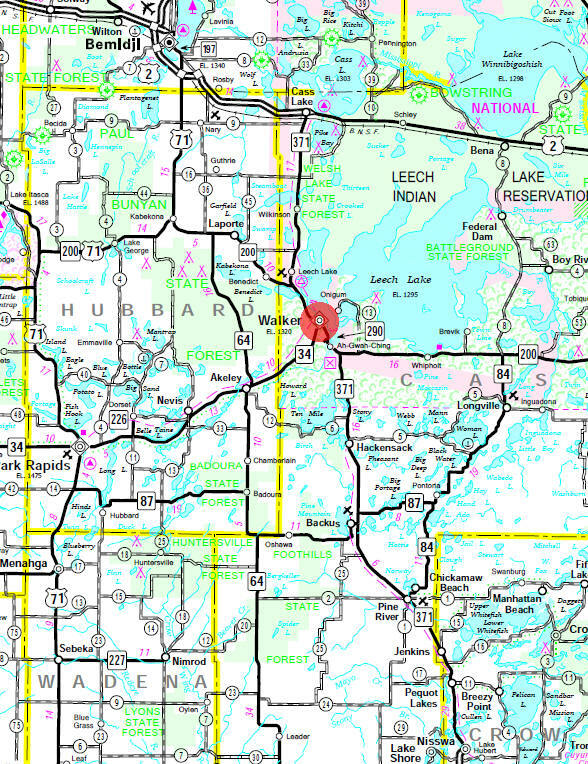 Minnesota State Highways 34, 200, and 371 are three of the main arterial routes in the city. According to the United States Census Bureau, the city has a total area of 2.47 square miles (6.40 km²), all of it land. The elevation is 1,316 ft (401 m) above sea level. As of the census of 2010, there were 941 people, 452 households, and 205 families residing in the city. The population density was 381.0 inhabitants per square mile (147.1/km2). There were 605 housing units at an average density of 244.9 per square mile (94.6/km2). The racial makeup of the city was 88.0% White, 7.2% Native American, 1.1% Asian, 0.5% from other races, and 3.2% from two or more races. Hispanic or Latino of any race were 1.3% of the population. There were 452 households of which 21.2% had children under the age of 18 living with them, 33.4% were married couples living together, 8.4% had a female householder with no husband present, 3.5% had a male householder with no wife present, and 54.6% were non-families. 48.0% of all households were made up of individuals and 23.4% had someone living alone who was 65 years of age or older. The average household size was 1.93 and the average family size was 2.82. The median age in the city was 49 years. 19.2% of residents were under the age of 18; 5% were between the ages of 18 and 24; 20.9% were from 25 to 44; 24.9% were from 45 to 64; and 30.1% were 65 years of age or older. The gender makeup of the city was 44.5% male and 55.5% female. 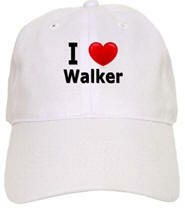 Walker (1,336 alt., 939 pop. ), Cass County seat, is located in the southwest corner of Chippewa National Forest, on an Indian reservation (see Cass Lake), and along the shores of historic Leech Lake. Indians have lived along the pine-covered shores of this lake for centuries. The first white men to penetrate the area bought pelts from them, and soon fur-trading posts were established. One of these posts stood a few miles from the site of the present Walker, on a point jutting into Leech Lake. When Cass County was established in 1851, the influx of lumbermen already had begun. Thomas Barlow Walker in 1868 purchased a large stand of pine in the vicinity. A few years later, he sold the ground on which the village was built to the Leech Lake Land Company, reserving rights to the timber. After the village was established and named in his honor (incorporated 1896), he sent in his timber cutters. The settlers protested, and their attempt to drive the cutters out was the cause of bitter resentment for many years. In 1897, the Park Rapids and Leech Lake Railroad was constructed between Park Rapids, Walker, and Cass Lake and, in 1899, was leased to the Great Northern; in 1900, the Minnesota and International was extended to Walker, and took over the Brainerd and Northern in 1901 (see Brainerd). The soil, a mixed black, brown, and sandy clay, is adapted to the raising of small grains, potatoes, and grasses. Dairying has become the leading industry; an independent creamery began operations in 1923. 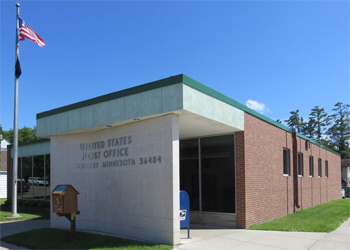 The county offices, jail, and sheriff's residence are in the modern Cass County Courthouse (Minnesota Ave. bet. 3rd and 4th Sts. 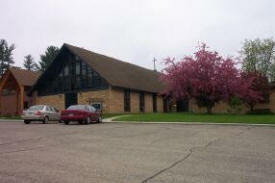 ), and the municipal offices are in the Village Hall (6th St. bet. Minnesota Ave. and Front St.), erected in 1937. Pupils from the rural areas are brought by bus to the Walker Public School (cor. Highland Ave. and 4th St.), a brick structure. The Walker Museum (Minnesota Ave. bet. 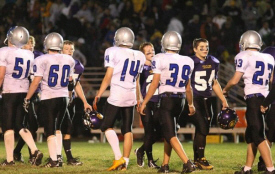 2nd and 3rd Sts. 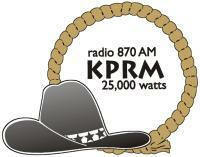 ), started in 1894, contains a collection of native animals and birds. In the Conservation Building, Indian bead work and articles of handicraft are made and displayed. Herds on the 1,000-acre Tianna Farms (State 34, 5 miles south) include 100 purebred Guernsey and 50 Aberdeen Angus cattle that have set State and national records. Approximately 75 per cent of the Guernseys have the blood of La Noce of Riverside Farm, first Guernsey-bred cow to make a world's production record (see Barnum). 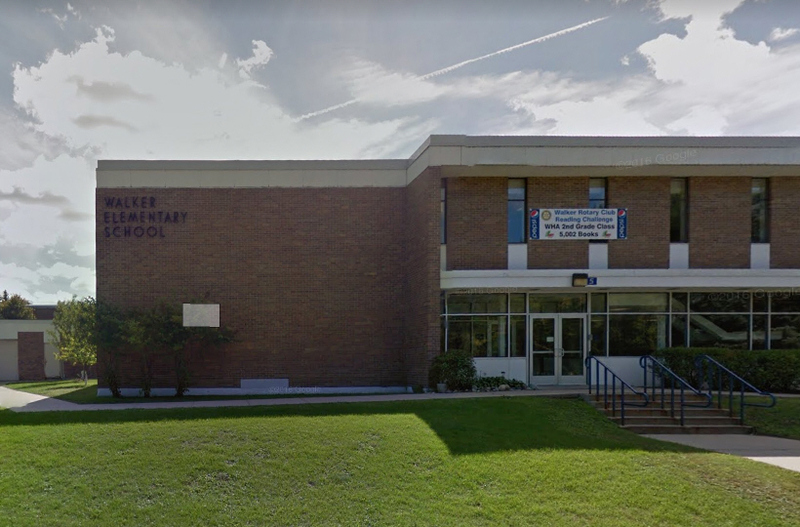 Walker is in the center of the region known as the Paul Bunyan Playground (see Brainerd; Bemidji), which each year attracts vacationists, fishermen, and hunters to its lakes. Summer resorts, built to accommodate a steadily increasing tourist trade, furnish launch service and provide both Indian and white guides. 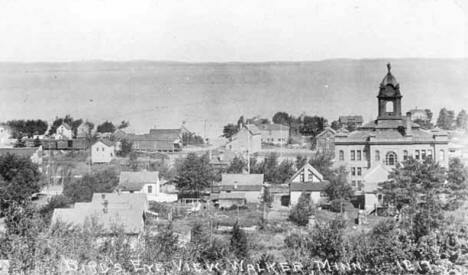 WALKER, a city and the county seat, located on Leech Lake, Shingobee Township, sections 21 and 22, was named in honor of Thomas Barlow Walker, who had large lumbering and land interests in Cass County and in several other counties of northern Minnesota. He was born in Xenia, Ohio, February 1, 1840, came to Minnesota in 1862 and was the surveyor of parts of the St. Paul and Duluth Railway line, commenced in 1868 the purchase of great tracts of pine lands, and later built and operated, in Crookston and elsewhere, many large lumber mills. He resided in Minneapolis and maintained a very valuable and choice art gallery to which the public were freely welcomed. An autobiographic paper by Mr. Walker is published in the MHS Collections ( 15: 455-78, with his portrait). The city was incorporated as a village on March 10, 1896, and its post office also opened in 1896. 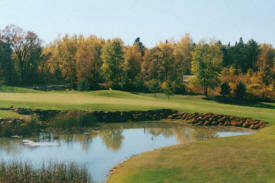 In its early development, the site was a resort community with abundant hunting and fishing in very scenic surroundings. 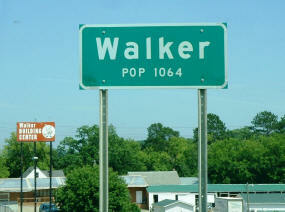 In 1900 Fort Walker was at this location with Lieut. A. B. Downworth, commander. The village had a station of the Great Northern Railway in section 22. The Cass County Museum invites you to visit us and learn about the settlement of our county. One of the largest exhibits of Ojibwe articles in Northern Minnesota will provide history and insight to the original inhabitants of the county. Other exhibits include those on fur trade, lumbering, transportation and the early pioneers. 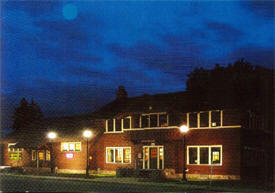 Our pioneer Huset School was built in 1912 and is furnished with period furniture. This is a “hands-on” exhibit and provides a country school experience. 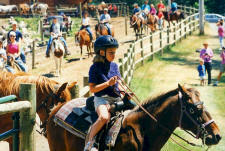 Moondance Ranch & Adventure Park has something fun for everyone. Children and adults can spend the day strolling around the park looking at the wildlife. Many of the animals roam the open area of the park allowing for a unique viewing experience for the kids where they can pet and feed the animals. You can also take a horseback ride through the shaded, wooded trails surrounding the Ranch & Adventure Park and on warm days, you can cool off on the waterslide. Youngsters can take on their friends, parents or grandparents on the mini golf course or on the Go Kart track. And after a big day outdoors, we can take care of everyone's appetite at the Grain Bin Restaurant & Pub! 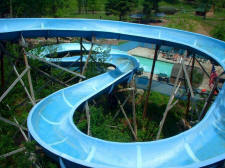 Put a smile on everyone's face - make sure your next vacation includes a trip to the Moondance Ranch & Adventure Park! Northern Lights Casino is proudly owned and operated by the Leech Lake Band of Ojibwe. 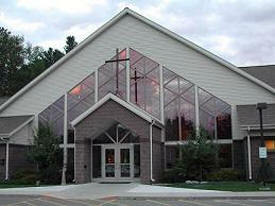 Our new facility, which opened in May of 2001, is located four miles south of Walker, Minnesota. 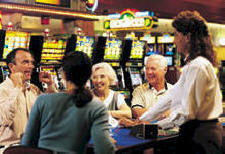 The casino with its non-stop gaming action adds round-the-clock fun for every grownup visiting the area. It is easy to understand the appeal of the Paul Bunyan Trail. 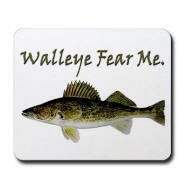 Its 110 miles wind around the shores of 21 lakes and over 9 rivers or streams. Most of the route snakes through gently rolling landscape covered in stately pine forests and populated by an abundance of diverse flora and fauna. Towns are situated at comfortable 8-10 mile intervals, with state parks at both the north and south ends of the trail. Tianna's natural setting of scenic woods and rolling hills provides golfers with a rich golf experience and frequent sightings of wildlife native to the area including whitetail deer, coyotes, bears, ducks and geese. MeritCare Health System is an integrated clinic and hospital system headquartered in Fargo, N.D.
1360 KKBJ-AM - "Talk Radio 1360"
1570 KAKK-AM - "Good Old Time Oldies"
Listen KCRB-FM - "Minnesota Public Radio - Classical"
Listen KNBJ-FM "Minnesota Public Radio - News"
92.5 KXKK-FM - "Hot Country 92.5"
95.5 KKZY-FM - "More Music More Variety"
99.1 KLZZ-FM - "The Loon"
101.1 KBHP-FM - "Continuous Country KB 101"
Listen KKEQ-FM - "Q107 Today's Christian Music"
105.9 KKWS-FM - "Superstation K106"
The AmericInn Lodge and Suites of Walker hotel is conveniently located one block from downtown Walker where you will find a multitude of shops with something for everyone. 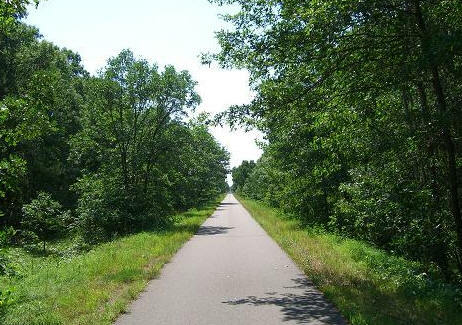 It is surrounded by beautiful bike trails and we offer complimentary bike use to our guests. Walker, "the city on the bay," also offers great fishing and watersports with plenty of room in our well lit parking lot for your overnight boat storage. At the end of your day enjoy a relaxing dip in our Walker hotel's heated pool and wake up to our delicious complimentary AmericInn Perk breakfast. The Chase on the Lake Resort Hotel is located on beautiful Walker Bay of Leach Lake in historic downtown Walker, Minnesota. 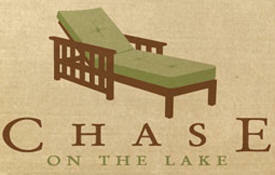 The legendary past of the Chase Hotel combines with new and fresh concepts throughout the property. Relish in the arts and crafts era found with in the well appointed Guest Suites and Condotel units. Experience a place where entertainment, outdoor activities, and relaxation await you all year long. 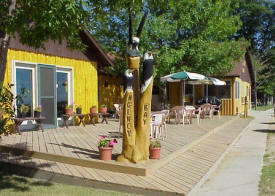 Acorn Hill Family & Fishing Resort, a wonderful Leech Lake resort to stay at on beautiful Leech Lake in Minnesota. 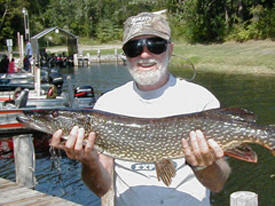 Our secluded resort is ideal for fishing, ice fishing, family reunions, family vacations, holidays, and hunting. 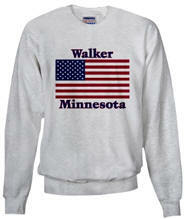 Perfect for fishing opener, summer holidays, fall hunting, or ice fishing. Plan your Leech Lake fishing vacation today! 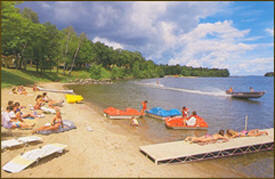 Adventure North Resort, a perfect Minnesota family and fishing resort. 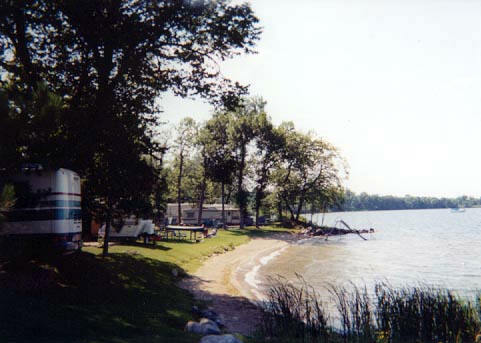 Located near Walker, Minnesota, Adventure North Resort invites fisherman and their families to enjoy the never ending activities the area has to offer from their lake home located on Pine Point of Leech Lake. 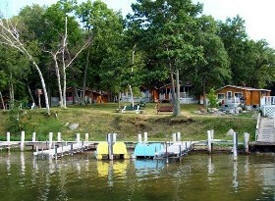 Open year round we offer large family reunion lake homes or quiet cozy cabins on the shoreline. 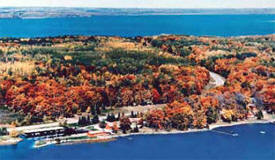 Agency Bay Lodge is uniquely located in the Chippewa National Forest on a small circular bay and a peninsula jutting out into the center of Leech Lake. This ideal location provides you with a head start and easy access to the best fishing spots on even the windiest of days. 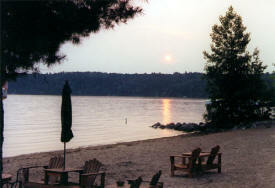 We are situated on level grounds with a sugar sand beach right in the heart of the lake. 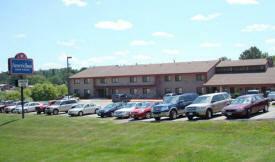 The Lodge is approximately 12 miles from the beautiful town of Walker and only 7 miles to the Northern Lights Casino. 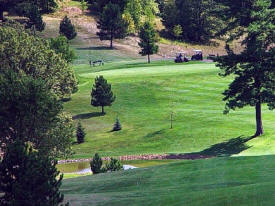 Our family resort is unique with 22 acres of beautiful groomed, level-ground Northwood's. 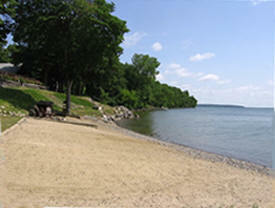 We're located on Steamboat Bay of Leech Lake - protected and quiet. Superb fishing any time and great family fun! Tucked away at the end of the road on Leech Lake’s famous Pine Point peninsula, Grand Vu offers you a quiet place to get away from it all! Under our canopy of towering oaks, you’ll find 17 modern log lake homes custom designed with Up North décor and a hidden taste of historic resort nostalgia. 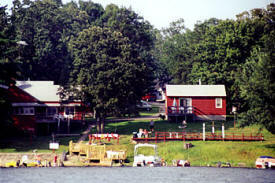 Bailey's Resort is a family resort on a world-famous fishing lake. Our secluded cabins are situated on Kabekona Bay on the west end of Leech Lake in the beautiful Chippewa National Forest, just minutes from the quaint lakeside town of Walker, Minnesota. Our protected bay offers excellent fishing for walleyes, northerns, bass, panfish and even muskies and provides easy access to the nearly endless waters of the rest of Leech Lake. In addition to fishing, we provide everything for the "Up-North" family vacation at the lake. 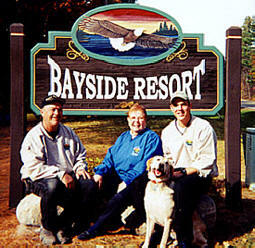 You will enjoy your stay at Bayside Resort on Agency Bay of Legendary Leech Lake. Whether your visit is a fishing expedition, family vacation or just a brief getaway, Bayside provides a great place to relax and enjoy the North Country! 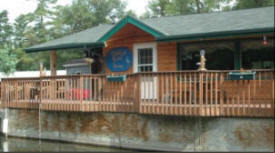 Each cabin offers a great view of Leech Lake and is a comfortable distance from the shoreline. Our cabins are ultra-modern with air conditioning and fully equipped kitchens including microwaves, coffee makers, toasters, can openers, mixers and appliances. 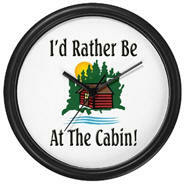 All cabins have cable service TV's and futons or hide-a-beds. Cabins have wireless internet access. Big Rock Resort has been developed with the whole family in mind. This single factor makes it possible for families and friends to return year after year knowing that everyone can have a good experience. It is a complete year round resort with a beautiful, protected harbor as the centerpiece. The cabins and other facilities surround the harbor. Big Rock Resort has captured the spirit of Leech Lake. 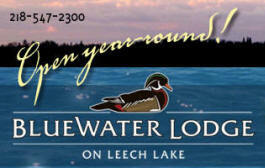 BlueWater Lodge on picturesque Leech Lake in northern Minnesota. We are open year round and taking reservations for your vacation! Boat slips are available in our marina on Leech Lake. Our model home is open and available for vacation rentals. We invite you to view our photo tour which includes photos of our developing property. You may also visit our site plan page to view a map of the BlueWater Lodge property, and vacation rentals to view the upcoming Lodges of Bluewater! Family vacations in an intimate, friendly, north woods ambiance. 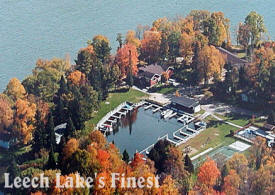 Sparkling clean lakeside cottages and luxury log homes on Leech Lake’s fabulous Pine Point. We have over 1300 feet of lakeshore with a sand beach, lighted lakeside pathways, perennial gardens and 4 long lake piers for fishing or lounging. For five generations, Huddle’s Resort has been a family tradition for owners and customers alike. On the south shore of Leech Lake, this family-run Minnesota vacation resort has acquired a loyal clientele with its true North Country hospitality. 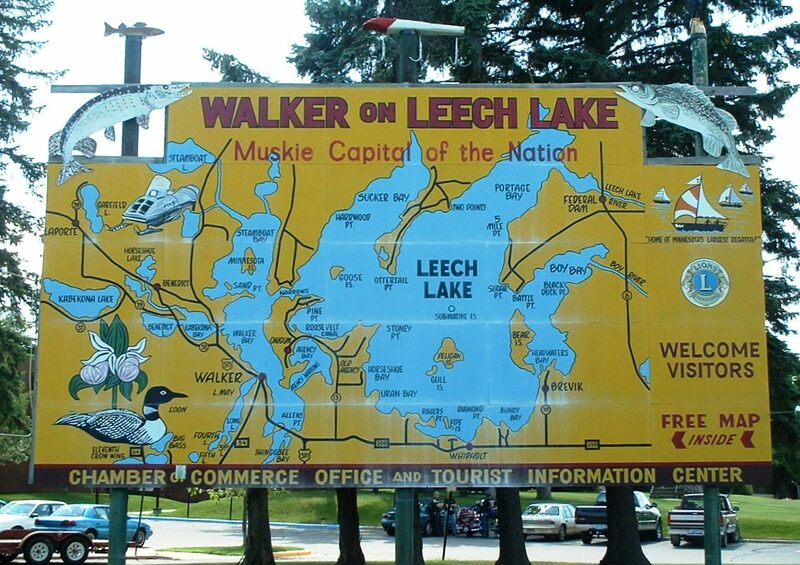 Guests can enjoy paddleboats and canoes on the lake, as well as great fishing—Leech Lake is the muskie lake in Minnesota, and the Minnesota Department of Natural Resources regularly re-stocks other lakes with Leech Lake muskellunge. Located on the south shore of beautiful Walker Bay (just three miles south of Walker, MN), Ivanhoe Resort presents the best facilities for vacations, leisure, sport fishing and recreation to be found in this part of Minnesota's vacation country. What an anglers heaven! 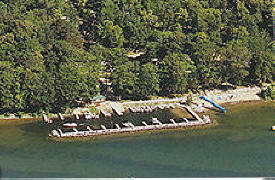 Protected harbor, boat ramp, live bait, gas, docks, and fish cleaning house all on site!